Dr. Lam is the founder of the “KH Lam Musculoskeletal Pain Management & Sports Injury Center” in Hong Kong. He is a graduate of the Faculty of Medicine in the University of Hong Kong. He is a specialist in Family Medicine in HK and specialized trained in Musculoskeletal Medicine and Sports Medicine. He has been travelling around the world to learn different Musculoskeletal skills and skills to treat sports injuries. He received his Post-Graduate Diploma in Musculoskeletal Medicine from the University of Otago in New Zealand. He learned manipulative skill in France and the Michigan State University. He learned prolotherapy from the American Academy of Musculoskeletal Medicine (AAMM) since 2003, and later the American Association of Orthopedic Medicine (AAOM) since 2007. He is a board certified Prolotherapist from AAOM since 2010. Dr. Lam received Master of Science in Sports Medicine & Health Science from the Chinese University of Hong Kong, and Post-Graduate Diploma in Sports Medicine from the University of Bath of United Kingdom. Dr Lam has started ultrasound guided intervention to help accurate needle placement in assisting Prolotherapy, PRP injections, Facet Blocks and Nerve Blocks since 2010 after studying musculoskeletal ultrasound guided interventional techniques from MSKUS from Dr. Tom Clark, with great success. 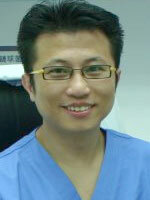 Dr Lam has been treating patients from Mainland of China and around the world. His medical interests are researches into Prolotherapy and PRP as a treatment to various sports injuries and musculoskeletal pain due to degeneration; biomechanical anomalies assessment and their contribution to dysfunction and rehabilitation; and the use of diagnostic and therapeutic musculoskeletal ultrasound.